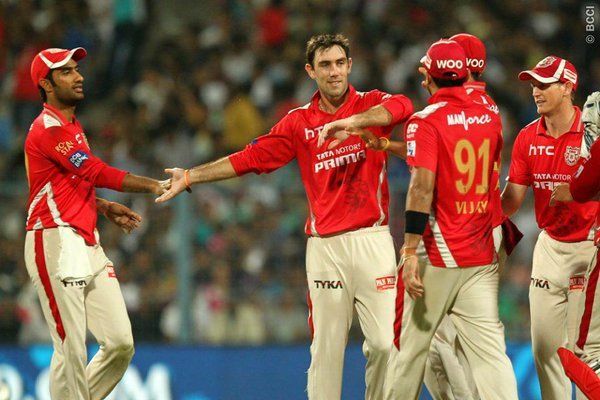 Glenn Maxwell has explained that Delhi Daredevils' bowlers leaked too many runs during the middle overs which made the difference in the match against KKR. Dividing the overs he rued that despite a maiden in the first over and conceding just one run in last over; KKR still touched the 200-run mark. On Monday (April 16), Kolkata Knight Riders won convincingly against Delhi Daredevils by 71 runs after losing their last two matches. Winning the toss, Delhi Daredevils asked Kolkata Knight Riders to bat first and they put up a good score of 200 runs in 20 overs. While chasing, Delhi never looked competitive against a good bowling line up like KKR and scored only 129 runs in 14.2 overs. Glenn Maxwell and Rishabh Pant showed some fight back, but that was not enough for a mammoth target like 200. Speaking to the media after the match Delhi batsman Glenn Maxwell pinpointed that it is their bowling which let them down. "Our lengths were a little bit mixed today, we weren't really consistent with the ball," he said in a post-match interview. "I think if you really break the game down, they got 200 off 18 overs with the first over a maiden and the last over going for one. We basically cost ourselves a lot of runs through the middle overs," Maxwell was quoted as saying by ESPN Cricinfo. It became absolutely clear that there have been a lot of areas to improve for Delhi Daredevils, after their below-par performance against Kolkata Knight Riders. Delhi bowlers conceded most runs at an economy rate of 10.75 in the powerplay overs in this year’s IPL so far, and although they improved that statistics yesterday somehow, they let the Kolkata’s batsman take the game away in middle overs thanks to the heroics by Andre Russell, who scored 42 runs from just 12 balls hitting six monstrous sixes. Delhi Daredevils’ assistant coach Sridharan Sriram described that they have to sit together and address the issues in bowling and fielding quickly. "That's something we need to address, and address very quickly," the coach said. "Against Kings XI, Rahul ran away, playing a blistering innings. Against Rajasthan, we were good. But in the last game we conceded 84 and today they were 19 off four [overs] and finished 50 off six. We probably dropped a tough, crucial chance off Andre Russell, but you've got to take those opportunities whenever you get them. He's a really dangerous player and he made us pay," Sriram said. The local boy Mohammad Shami, who plays for Delhi Daredevils, leaked as many as 53 runs in his 4 overs and looked out of rhythm. On April 15, during RCB vs RR match, Umesh Yadav also conceded over 50 runs in his four overs and it was indeed not a pleasant sight looking at India’s Test specialists getting beaten up like this fashion. However, the assistant coach advised Mohammad Shami to come with some proper game plan. "I think he's got to come up with some sort of strategy. Started well today; his first couple of overs were very good and again that dropped catch was off him. It would have been a completely different day for him had [it been taken]. But that's what sport is all about and then he got on the wrong side of Russell and I think when that happens, you've got to think very quickly and I think he just lost the plot a bit for six or seven balls and that's enough for you to have a bad game."